When parents are not married and they split up, the mother is given preference during a custody dispute. However, unwed fathers now have rights to their child. In Montana, if a father has established paternity, he can seek custody or visitation. Under Montana law an unwed mother is automatically considered the custodial parent if a father has not established paternity. Even if a father has established paternity, a mother is awarded custody unless a father requests that custody be granted to him. In Montana, an unwed father has no legal rights until paternity is proven. The unwed father must sign an affidavit or acknowledgment of paternity. If paternity is in dispute, the issue must be adjudicated in court and may be resolved by DNA test. An unwed father seeking custody has a difficult burden to overcome. Many Montana courts still award custody of the child to the mother unless the unwed father can show the mother is unfit. However, Montana is attempting to eliminate that prejudice as of 2010. 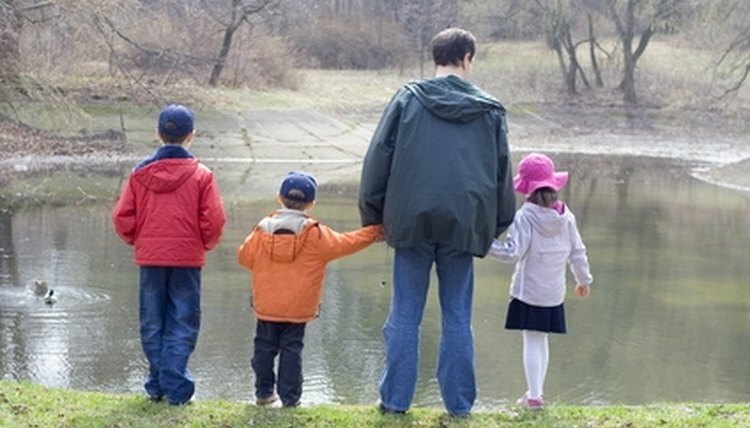 Unwed fathers are beginning to get an equal right to custody. Because unwed fathers are gaining equal rights to custody in Montana, custody is determined based on the "best interests of the child" standard. Factors examined include: the child's preference; each parent's relationship with the child; each parent's physical and mental health; any history of alcohol or drug abuse by either parent; any history of domestic violence or child abuse; whether the child has any special needs; whether either parent has failed to provide financial support for the child; and each parent's ability to provide a stable environment of the child. Even if an unwed father does not win custody of the child, he is still entitled to liberal visitation. Visitation is called "parenting time" in Montana, and a visitation schedule is included in a custody agreement. Visitation schedules should allow the unwed father to still have frequent and continuous contact with his child. The noncustodial father should be able to see his child on alternating weekends, all weekends or one or multiple weeknights plus alternating weekends. Any arrangement should include overnight visits and should also address holidays, school breaks and summer vacation. The visitation schedule should be arranged to work with the child's and both parents' schedules and should be followed to ensure continuity and stability. A., Bernadette. "Rights of an Unwed Father in Montana." , https://legalbeagle.com/6361192-rights-unwed-father-montana.html. Accessed 18 April 2019.